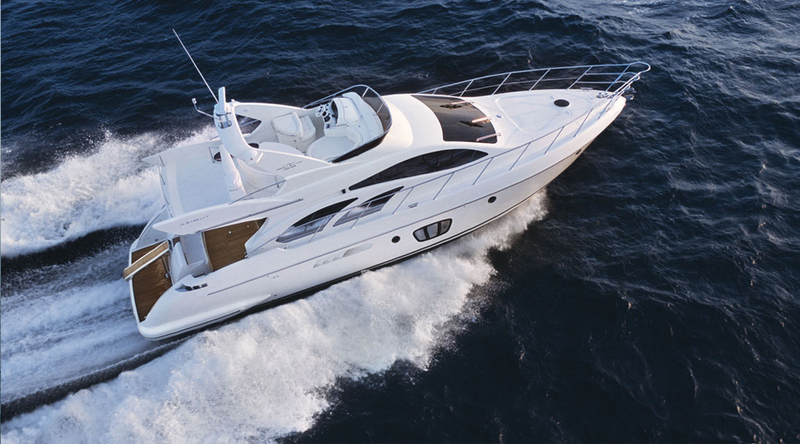 The Azimut 55 provides ample room for you and your guests to enjoy the Florida sunshine at sea. Whether you are venturing offshore to catch some of the biggest fish in the world or you are taking your friends on a dinner cruise, you will never miss a single thing from land in this luxury yacht charter. 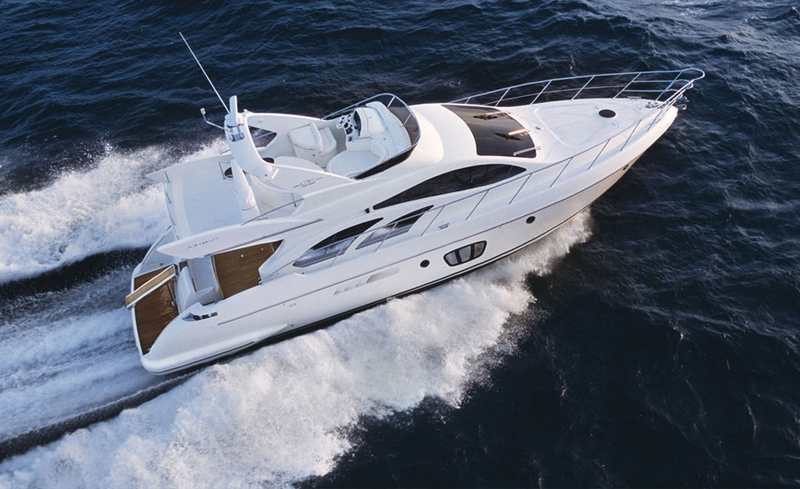 There is plenty of seating outside right beneath the flybridge of this work of art. Here, you can sip cocktails and eat lunch aboard one of the finest luxury yachts in our fleet. If you choose to include your own private chef for your adventure, you will be enjoying five star meals with the freshest local seafood available. The galley has plenty of room to relax and wind down after an exciting day cruising the open waters of South Florida. Here, you can enjoy a good book or watch a movie before heading into your own private stateroom to resign for the night. Your own private quarters include a bathroom with plenty of room to get ready for your next big adventure the following day. Call or stop by Elite Luxury Services today to book your next luxury charter yacht.